Sarah has been working to support growth and change with individuals and communities in New York City, Chicago, and Central and South America for over 13 years. She believes strongly in the power of building community, creating connections and deepening relationships in order for people to flourish and thrive in their environments and relationships. She specializes in helping individuals and organizations understand the impact of trauma on human development and ways in which resilience can be fostered through social justice, strengths-based, trauma-responsive and restorative practice frameworks. 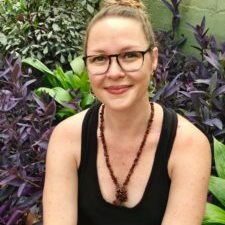 As a clinician, her approach is rooted in somatic, relational and mindfulness-based approaches to uncovering what gets in the way of living a more present, embodied existence by working with issues related to attachment and developmental trauma.